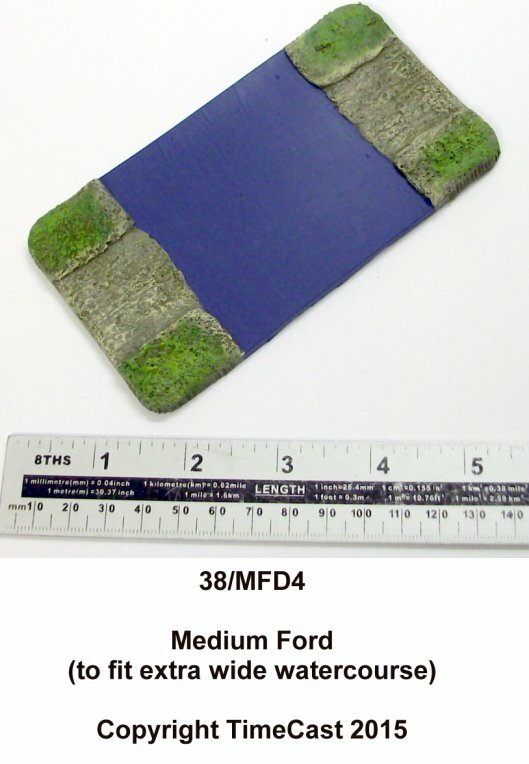 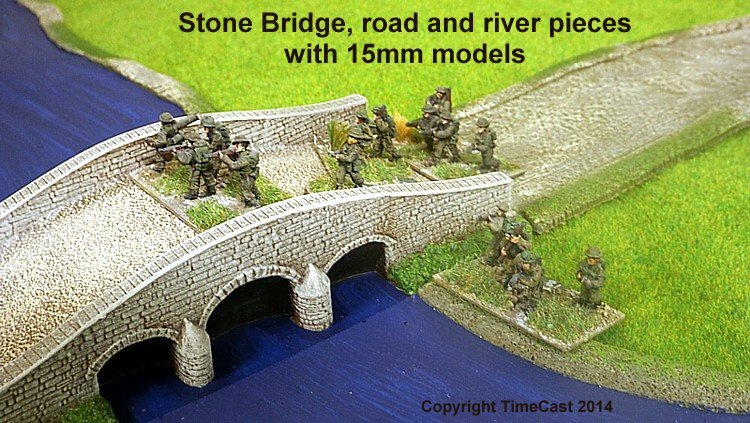 On this page you will find a variety of model bridges and fords designed to fit alongside our flexible road and rivers systems. 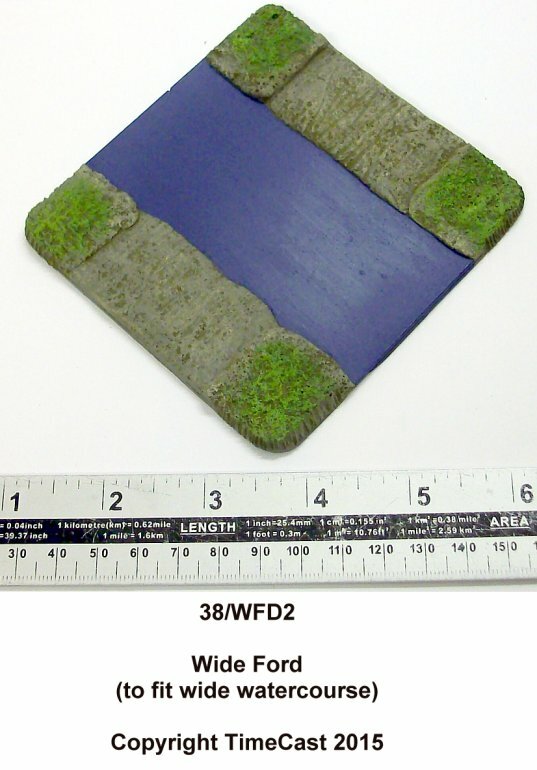 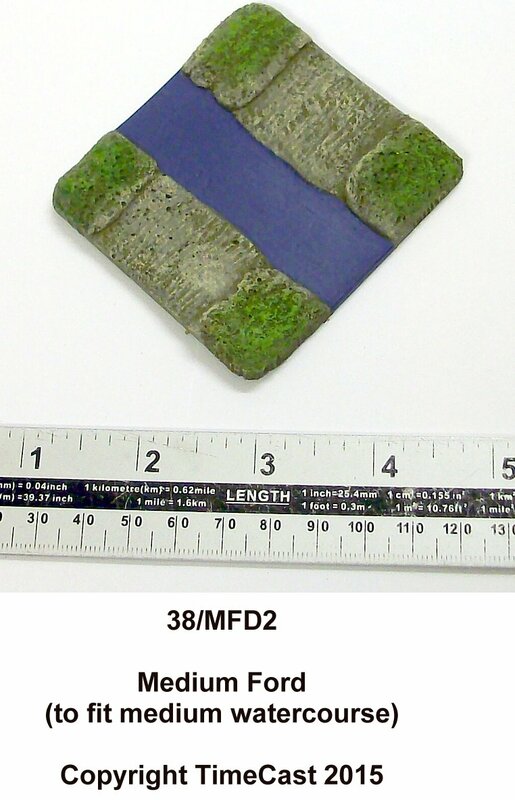 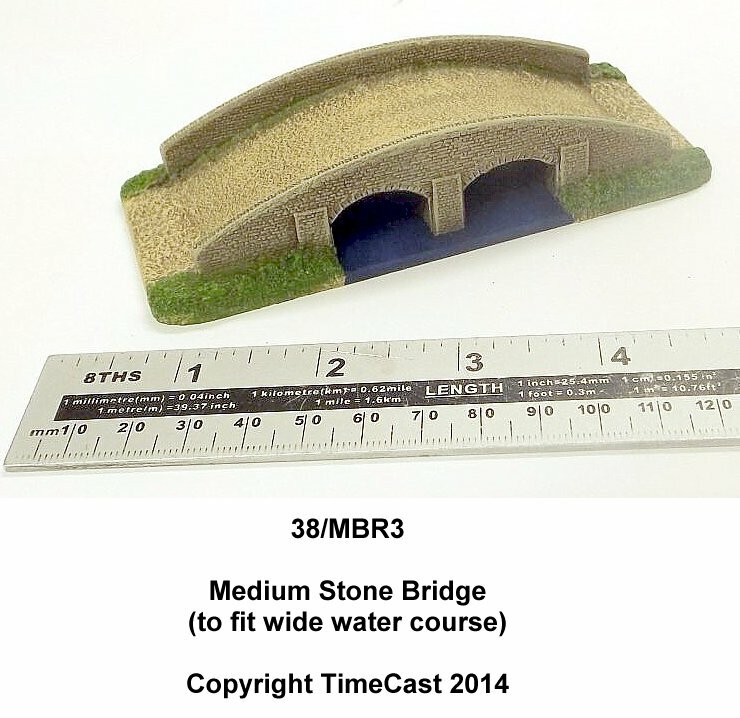 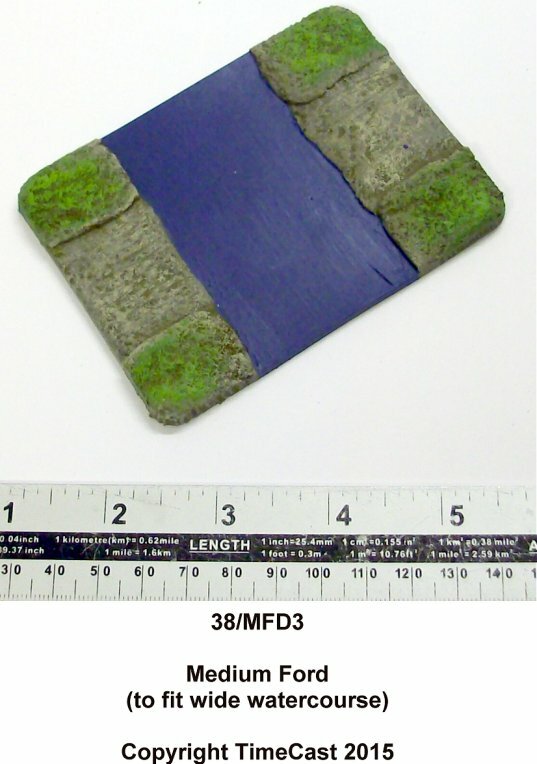 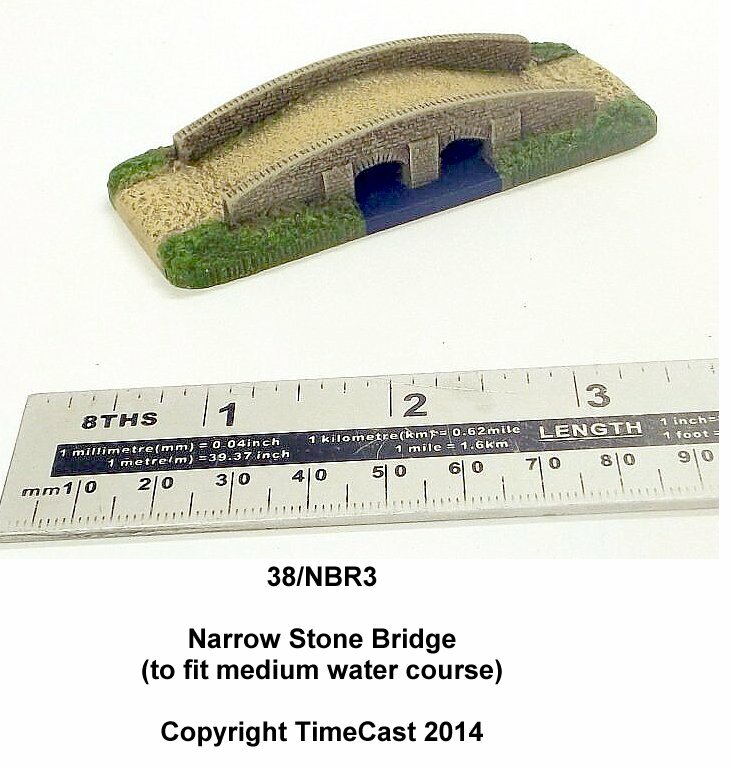 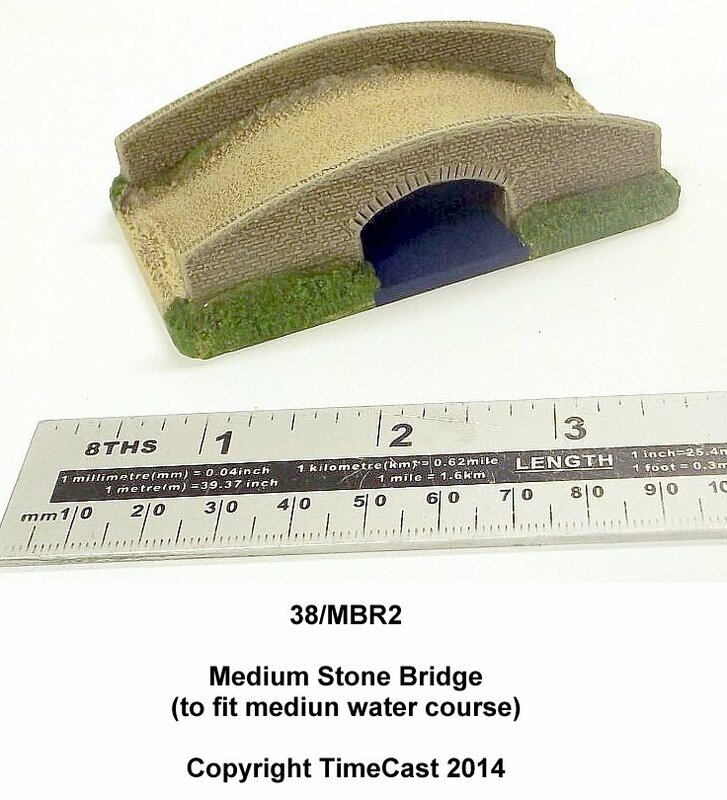 The model bridges are finely detailed and are cast in our standard acrylic polymer mix. 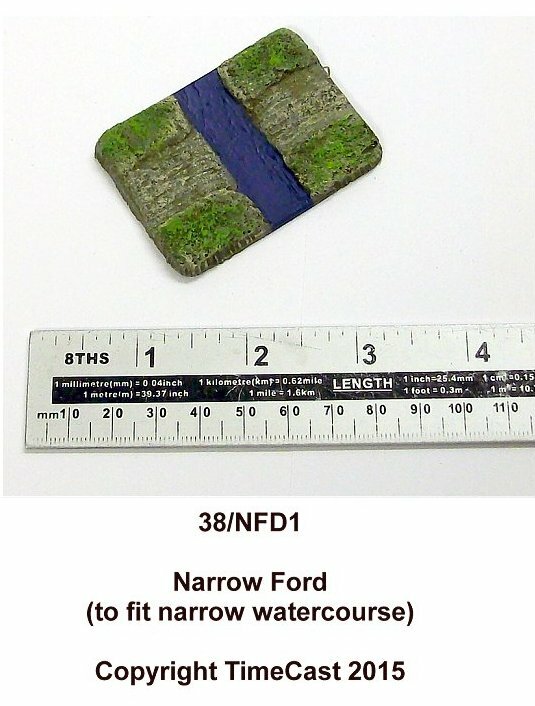 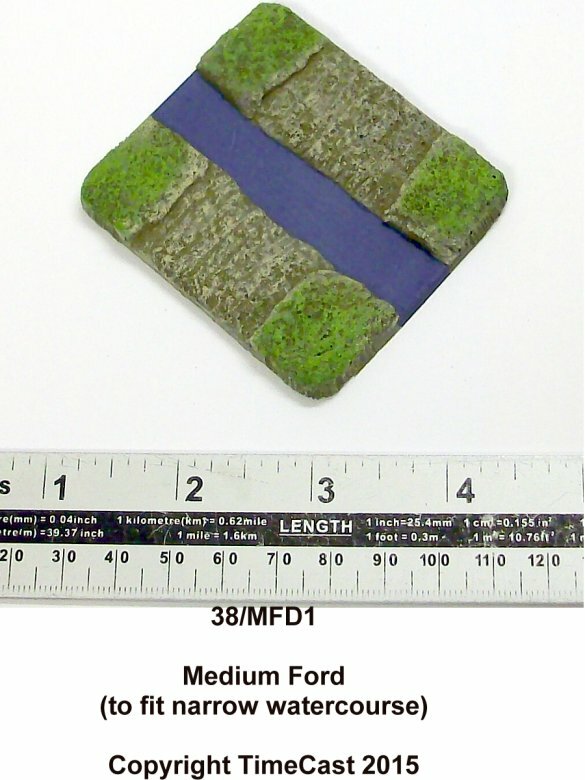 The bridges and fords are specifically designed to match the different widths of the road and river sections. 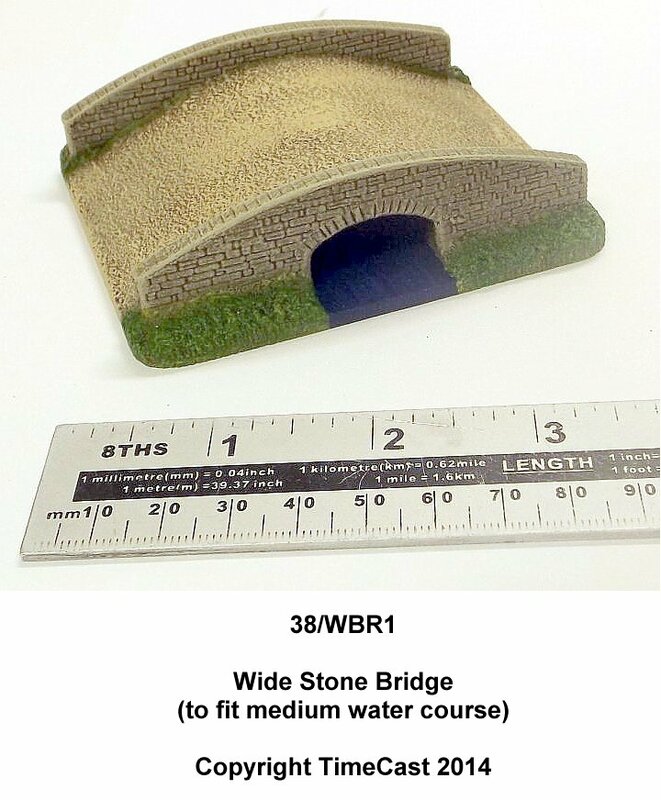 The bridges are available in three road widths (Narrow, Medium and Wide) and designed to span the Narrow, Medium, Wide and Extra Wide rivers and watercourses as appropriate. 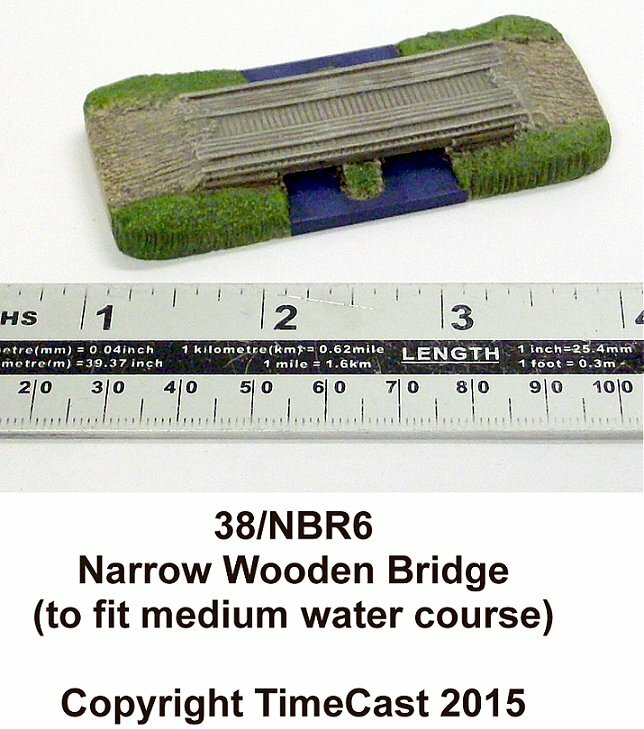 Please note that bridges are cast in acrylic polymer NOT latex and are therefore rigid, NOT flexible. 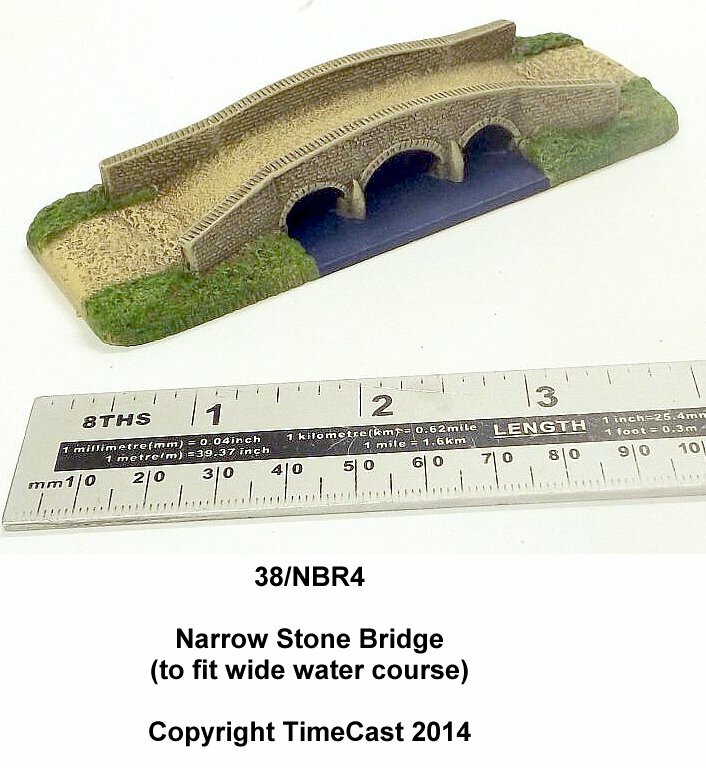 The Narrow width bridges and fords are designed for use with the TimeCast Narrow Road sections - road approximately 3/4" (2 cm) wide. 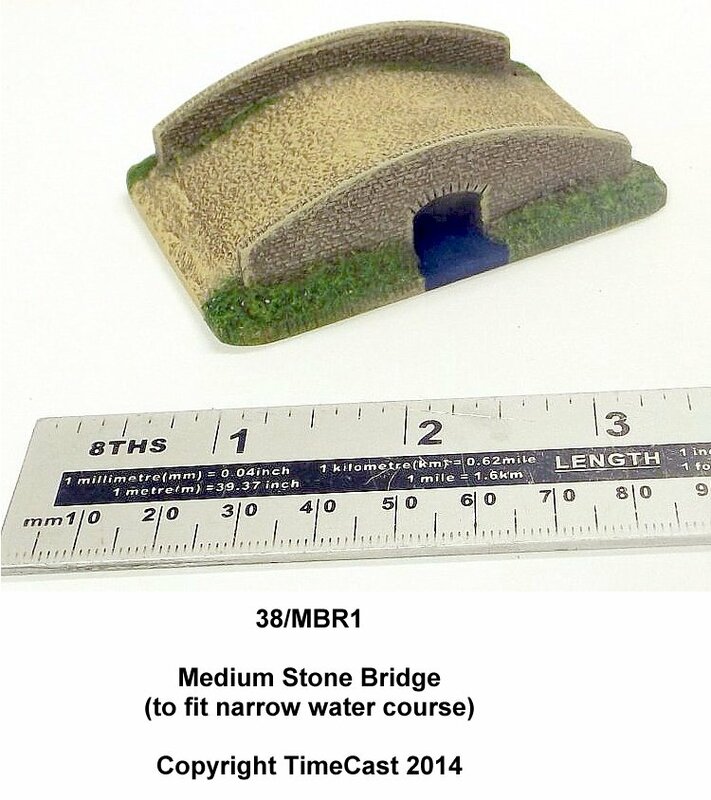 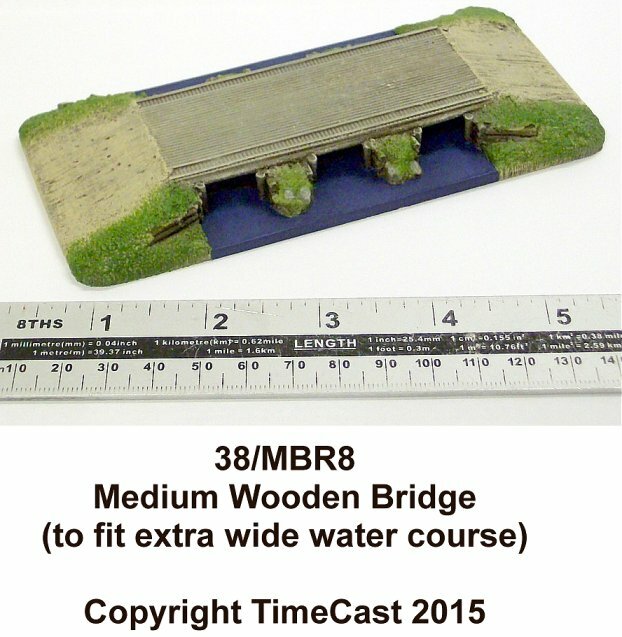 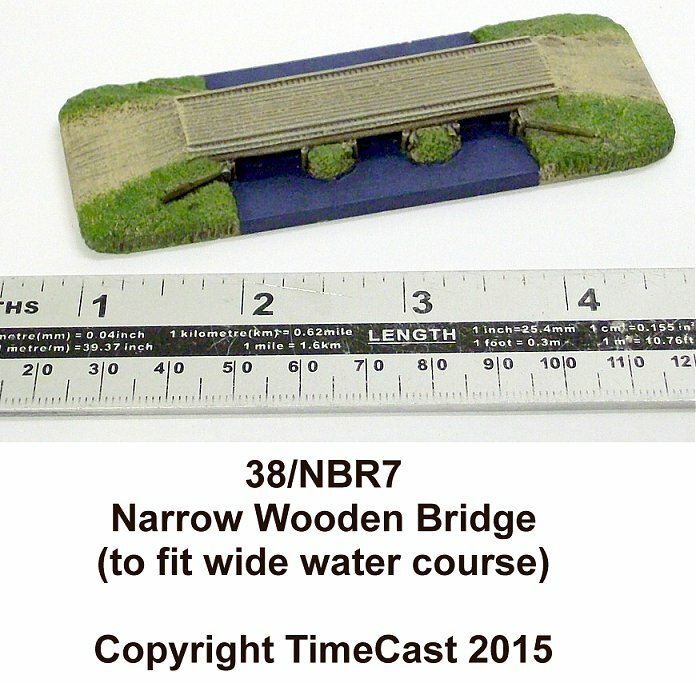 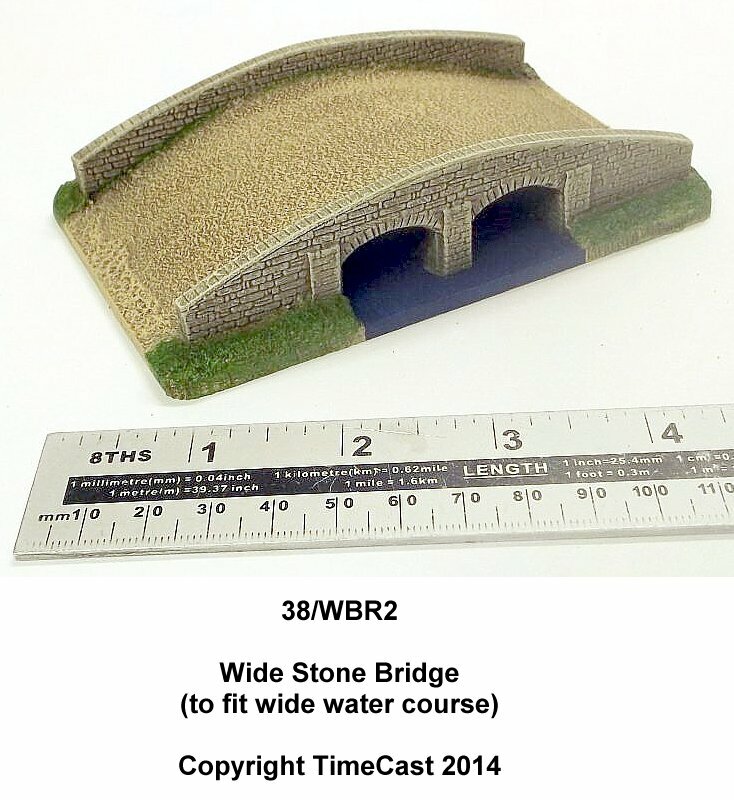 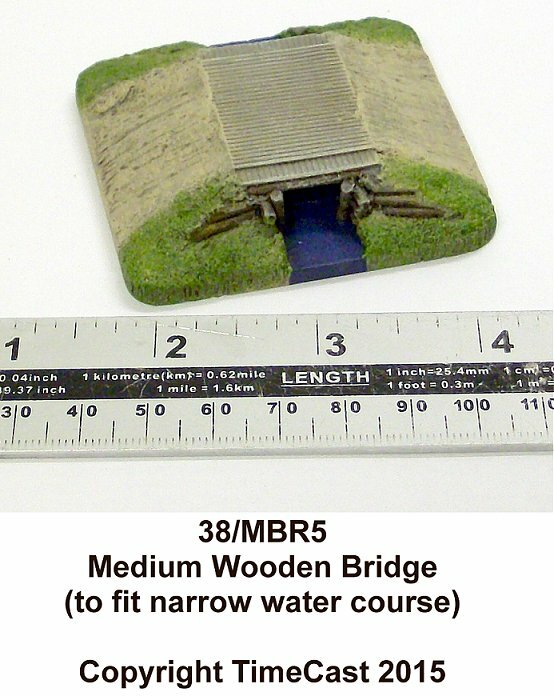 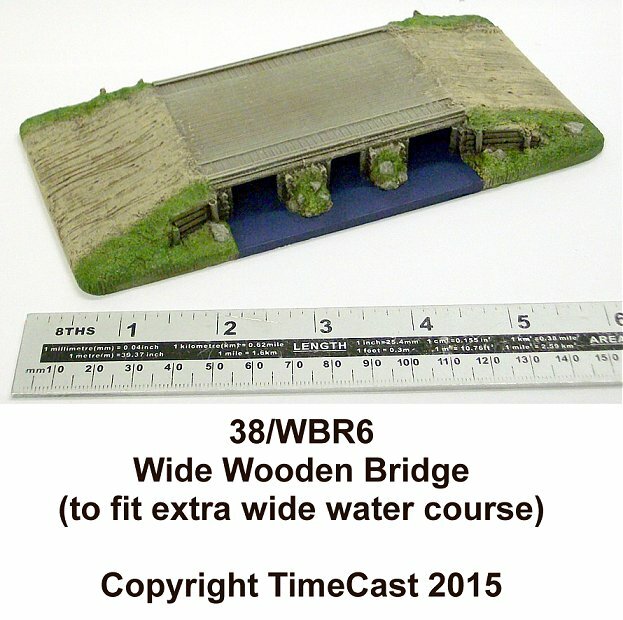 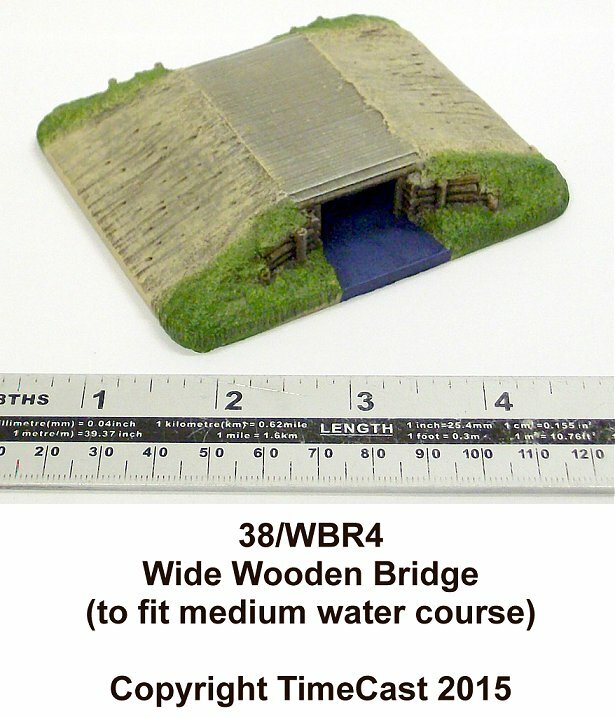 These bridges are designed for use with 6mm or 1/300 scale models. 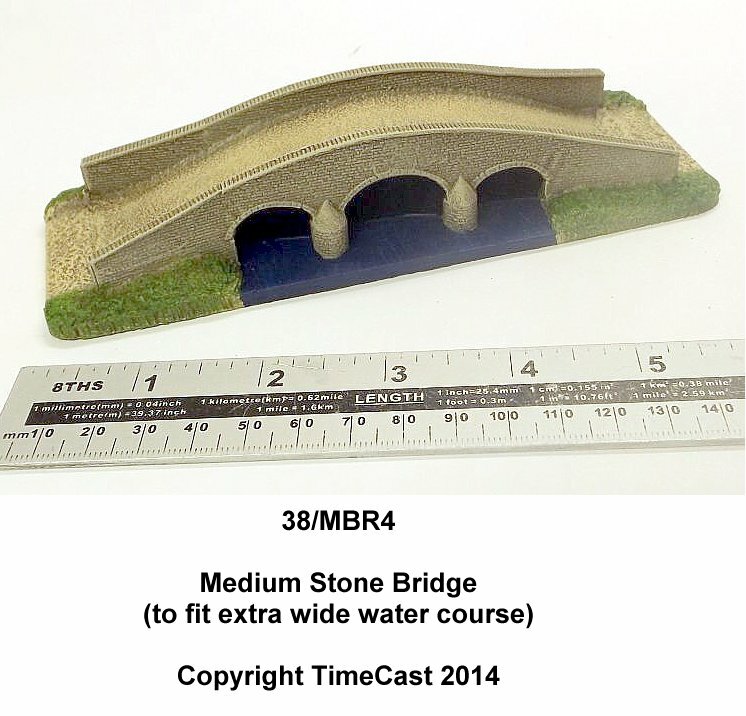 The Medium width bridges and fords are designed for use with the TimeCast Medium Road sections - road width approximately 1.5" (4 cm) wide. 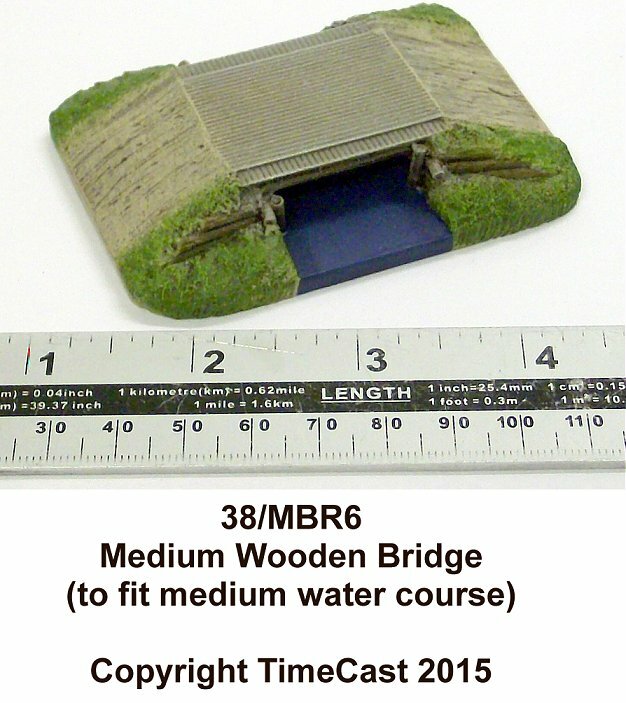 These bridges are designed for use with 10mm or 1/144 scale models. 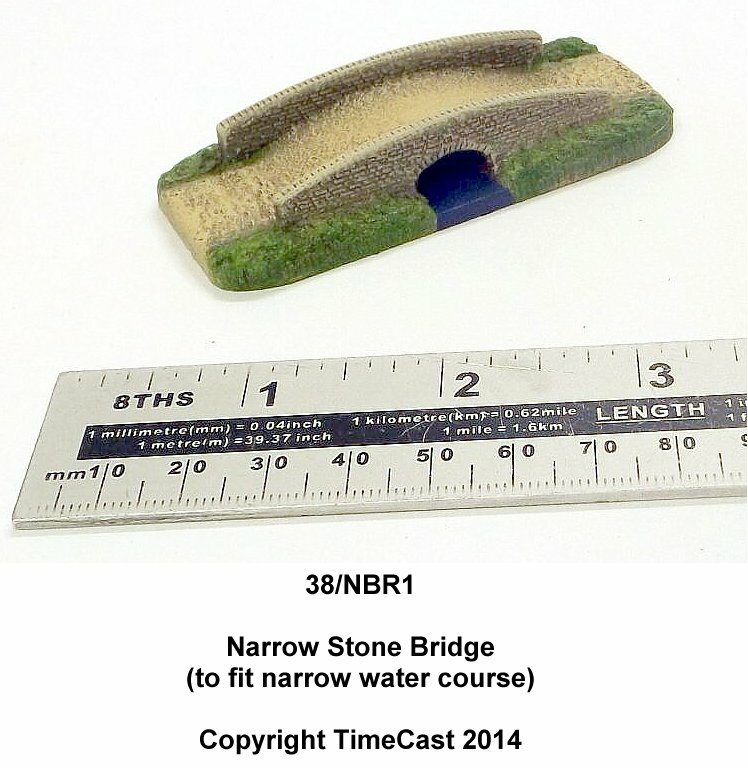 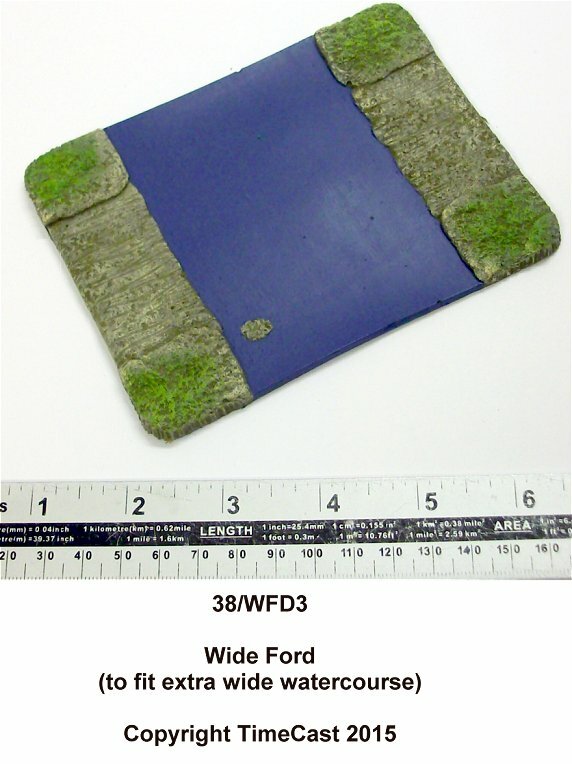 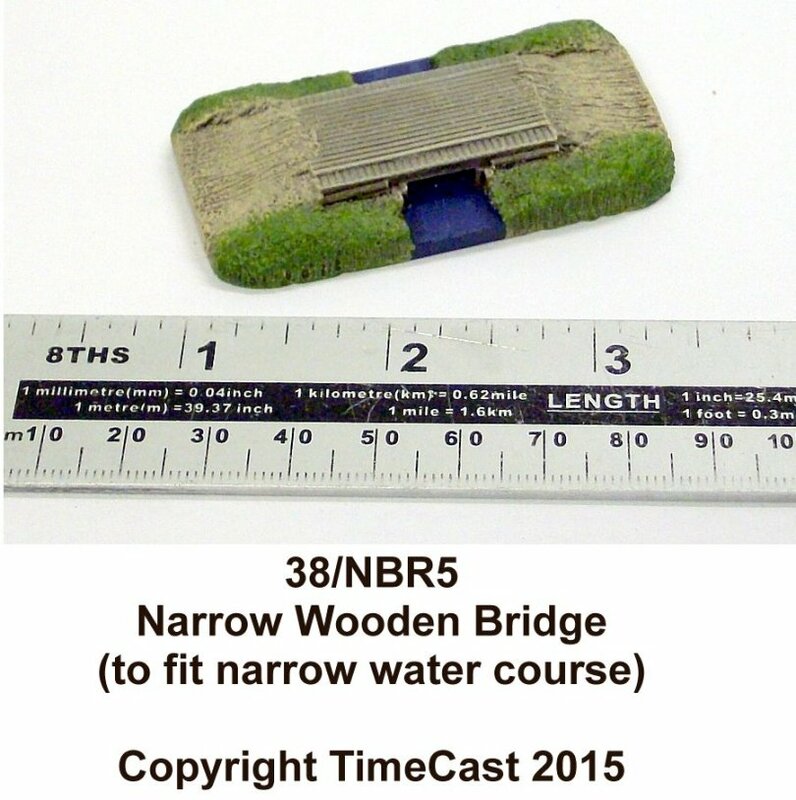 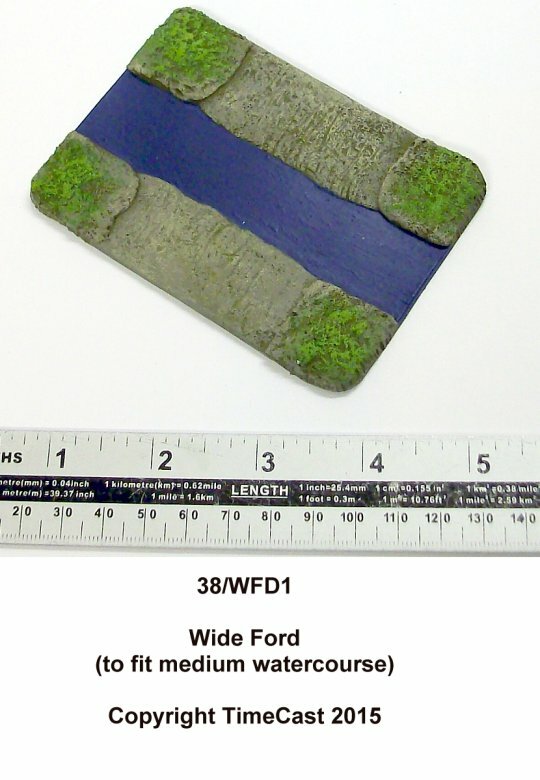 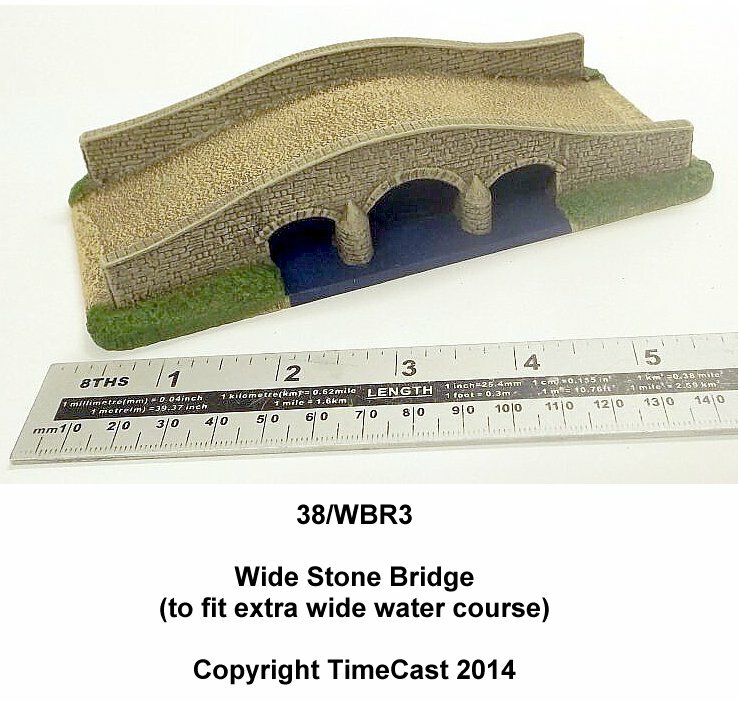 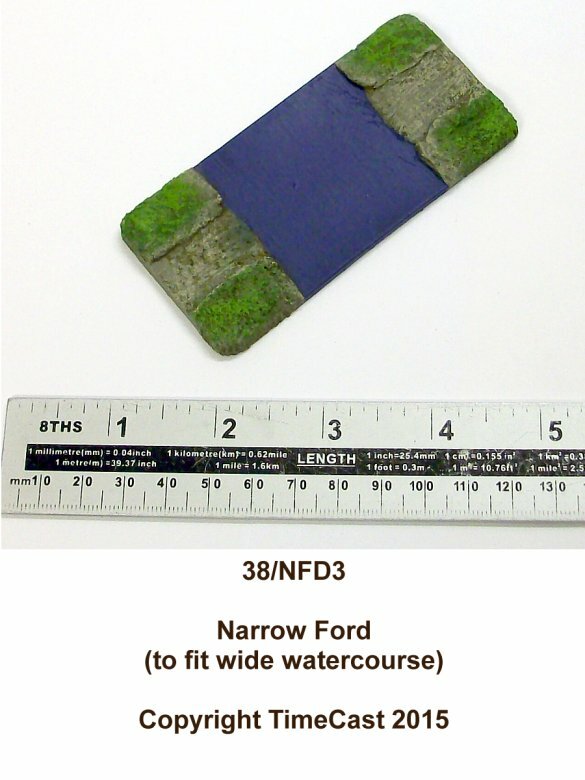 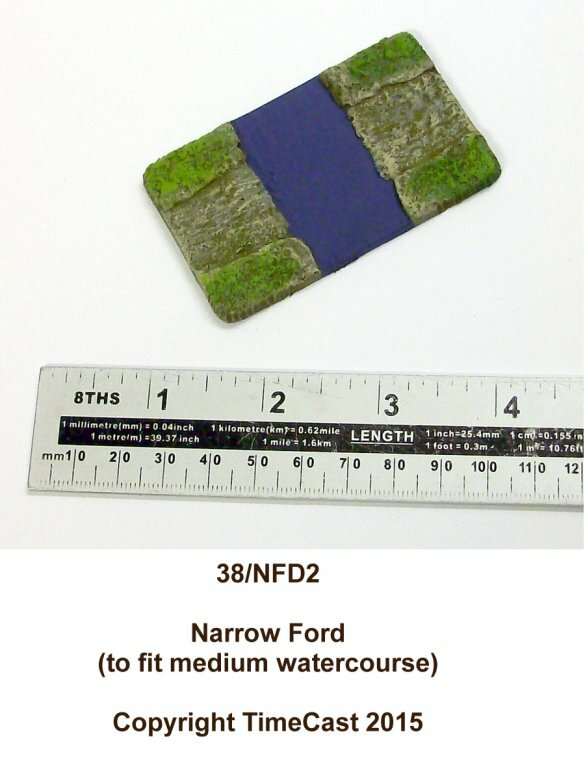 The Wide width bridges and fords are designed for use with the TimeCast Wide Road sections - road width 2" (5 cm) wide. 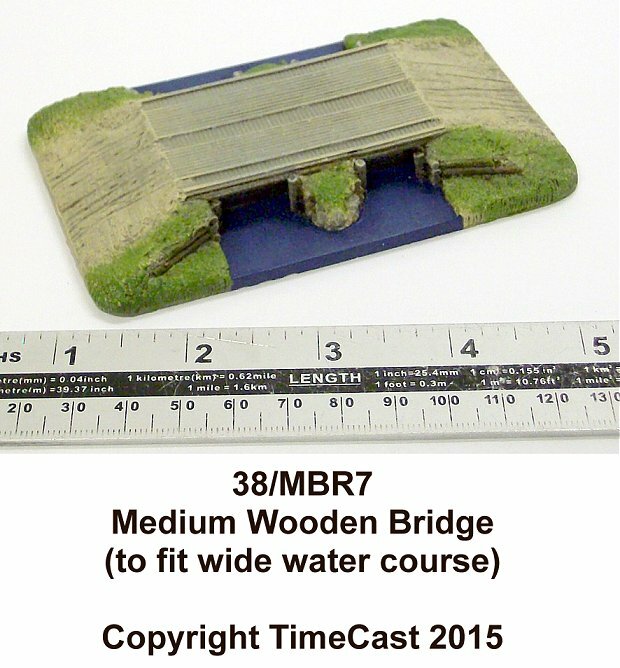 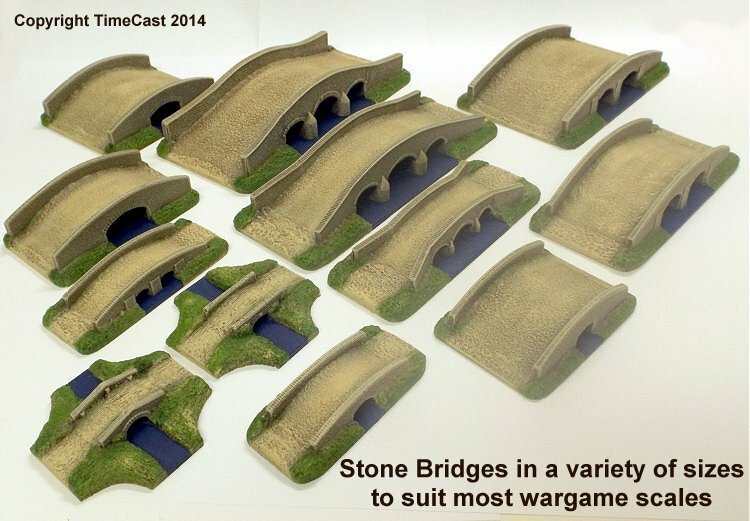 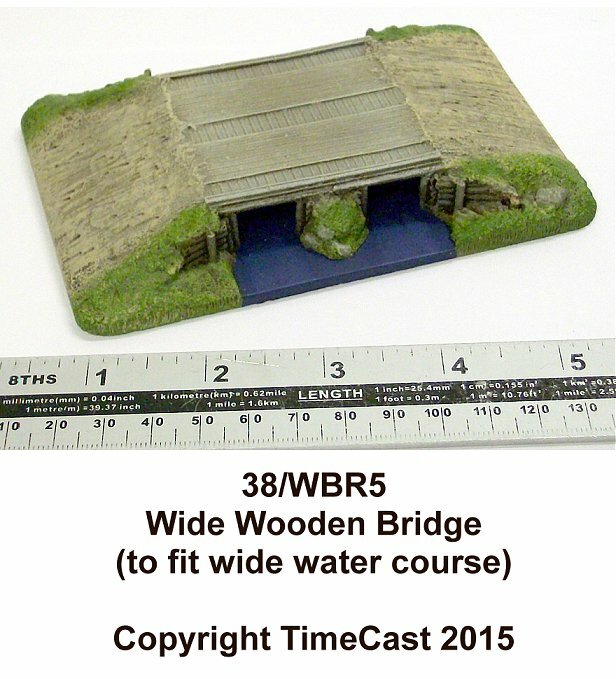 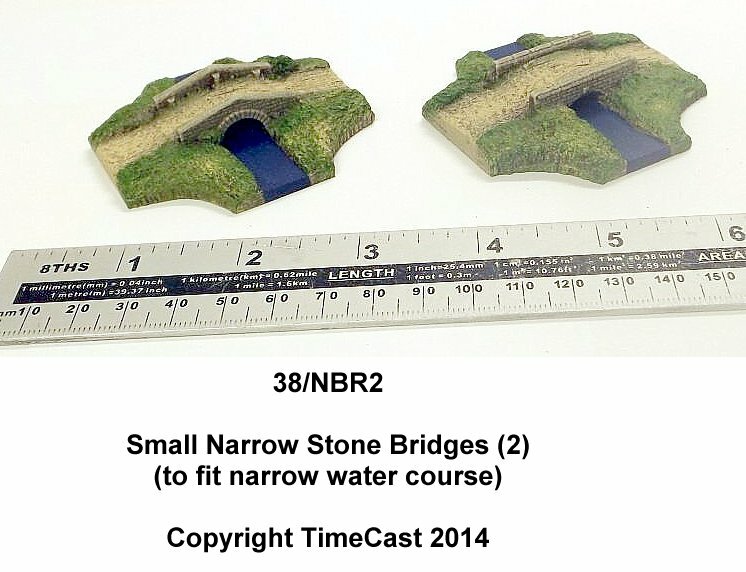 These bridges are designed for use with 15mm models.